﻿ SAS Management Inc.MoV®- Value Management - SAS Management Inc.
MoV provides a set of principles, processes and techniques to enable organizations and individuals to maximize the benefits from portfolios, programmes and projects. MoV supplements the main purposes of PRINCE2®, MSP® and M_o_R®, but its focus is on maximizing value. MoV® (Management of Value) offers guidance on maximising value and making better use of resources. It has evolved from many years of successful value management practice and is relevant to portfolio programmes and projects. The guide is aimed at individuals who direct, manage, support and deliver portfolios programmes and projects. The MoV Foundation Certification is suitable for individuals who want to demonstrate that they have sufficient knowledge and understanding of the MoV guidance and can contribute effectively to MoV activities led by others and explain MoV to others. The MoV Foundation Certificate is also a pre-requisite for individuals wishing to achieve the MoV Practitioner Qualification. The MoV Practitioner Certification is suitable for individuals who want to demonstrate they have achieved sufficient knowledge and understanding of the MoV guidance and are able to tailor and apply it in a scenario situation. 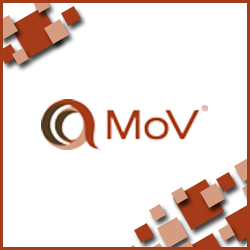 To take the exam, you need to have passed the MoV Foundation exam, even on the same day. If you successfully sit the Foundation exam only, you will receive a "Foundation Examination" certificate. If you pass both exams on the same day, you will receive the "Practitioner Examination" certificate only, and not a "Foundation Examination" one. The MoV qualifications can be obtained either through sitting the exam at the end of an accredited training course or by studying privately and then booking the exam independently. Self-study is acceptable but training through an Accredited Training Organization is recommended.